The tax system is an important part of our country’s method of ensuring that government leaders are paid, roads are maintained, and we have a well-armed military to defend all of our citizens. But that doesn’t stop the millions of people who live in the United States from dreading the complicated procedures set up by the Internal Revenue System (IRS) that they have to go through to pay their fair share of the expenses each year. Part of the reason for this is that there are so many myths surrounding the process. Unfortunately, those who believe in them end up with costly fines and legal problems though. So to help clear things up, the following is a list of five of the top tax myths and the real truth behind them all. Because of some of the technical terminology used by the IRS, some people think that filing taxes is optional because the IRS will complete the process for them and let them know if they owe any money. This isn’t true though. The IRS website shows a detailed list for the current year of who does and doesn’t have to complete a tax return, and it is based on their age, filing status, and income level for the year. It starts at about 10,400 dollars for a single filer who has no dependents. This amount is raised for those who are over the age of 65 years old or those who would normally be filing as head of household with dependents. However, just because a person falls under these amounts that are set doesn’t mean that they should not file. Many people with low income amounts still get sizable tax returns because of the deductibles that they qualify for. This is one of the biggest mistakes that a person can make because if the IRS finds out that a person intentionally left out several sources of income, they could be audited, fined, or even face jail time for fraud. This type of scenario occurs most commonly for tax filers who do contract work instead of working at a regular full-time job. The contractors don’t have taxes taken out of their paychecks during the year, so they owe it all at the end of it. And to save money, they think they can just not tell the IRS about all the money that they earned. However, anyone who is paid more than 600 dollars for services or labor is supposed to receive Form 1099 from their employer who contracted them. The employer will send a copy of the form to the IRS as well. So the IRS will know if the income wasn’t claimed. The IRS begins accepting returns on the 29th of January each year, and they stop accepting them on the 17th of April. Any tax returns that are sent in after this are considered late, which causes a person to face expensive fines. 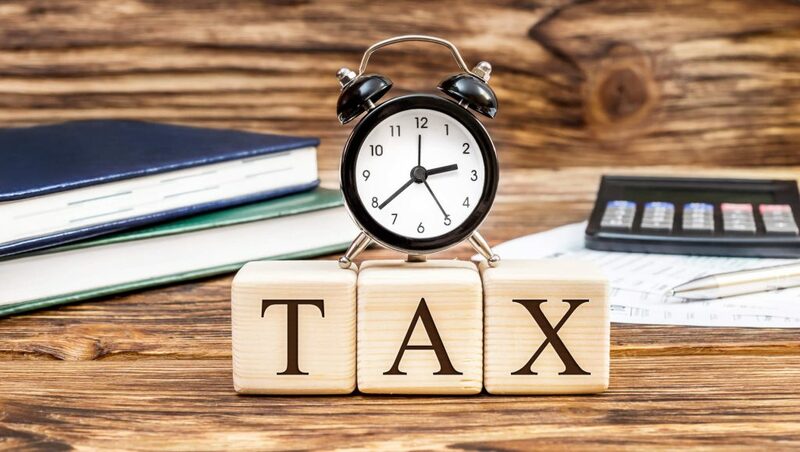 For those who have complicated tax returns or need extra time to gather more information for the filing process, the IRS offers a solution though. All a person has to do is file a tax extension form. This tax extension form will give them an additional amount of time to send in the return. Any taxes that are owed don’t have to be sent in with the form. But late fees can be applied if they aren’t paid by April the 17th. So it is beneficial to go ahead and pay them. Anyone who thinks they can trick the IRS into accepting false information might want to think again. They have a large team of trained tax employees who evaluate every single tax return that is submitted to them. All of the return information is then compared with the information and forms that they receive from the employers who have to send in their share of the employee taxes. If any of it isn’t correct, they will flag the tax filer and reject their return. Some senior citizens are shocked when they receive notification from the IRS that they owe money for the social security income that they received after they reached the retirement age. So it is understandable that this topic is a sensitive one because all people contribute money to the Social Security Administration out of their paychecks. It is a separate fund that most people think shouldn’t be taxable. But according to the current tax laws, it is. Those senior citizens who don’t file taxes on their social security income can get into serious hot water with the IRS who will begin to garnish their monthly checks to collect the taxes that are owed and the fees that they have applied.